It’s Small Business Saturday! Just in case there weren’t enough shopping “holidays” this weekend! This is one to embrace, however, as it’s goal is to stimulate small business and local economies. If you are in the San Antonio or South Texas area, and would like to shop local, please visit my Freee Rose Studio Etsy Shop and peruse the goods, or email me at Susie@FreeRoseStudio.com to inquire about or place a custom order. I am so grateful and thankful for all the support I have received this year. I am looking forward to 2013 and the new experiences and opportunities it will bring. Still not sure what Free Rose Studio has to offer? Besides costume design and wardrobe consultations, I enjoy creating durable, unique accessories to add a little handmade to your everyday life. 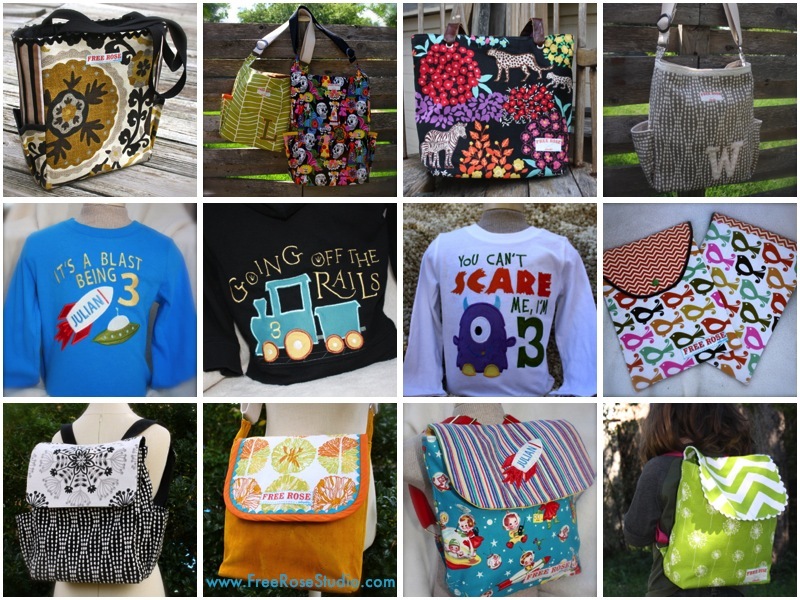 Messenger bags, totes, backpacks, iPad and tablet cases, wet bags, kids backpacks, and personalized embroidered and appliqued items are just the beginning!